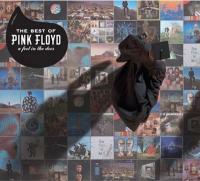 Titre(s)A Foot in the door : the best of Pink Floyd / Pink Floyd. ContientHey you. - See Emily play. - The happiest days of our lives. - Another brick in the wall part 2. - Have a cigar. - Wish you were here. - Time. - The great gig in the sky. - Money. - Comfortably numb. - High hopes. - Learning to fly. - The fletcher memorial home. - Shine on you crazy diamond parts 1-5. - Brain damage. - Eclipse.